As a landlord, you will have a number of legal responsibilities and obligations against your tenants. These legal responsibilities are designed to ensure that rental properties are kept to a high standard as well as protecting landlords’ and tenants’ rights during the tenancy agreement. 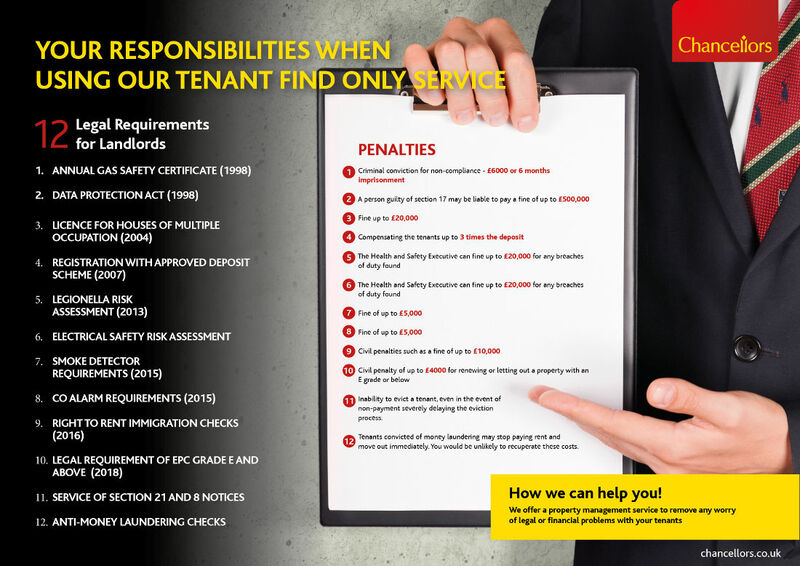 Below we have outlined 12 legal responsibilities for landlords, potential penalties if the requirements are not met, and how at Chancellors we can assist you ensuring that you met all these criteria and have a stress free tenancy. 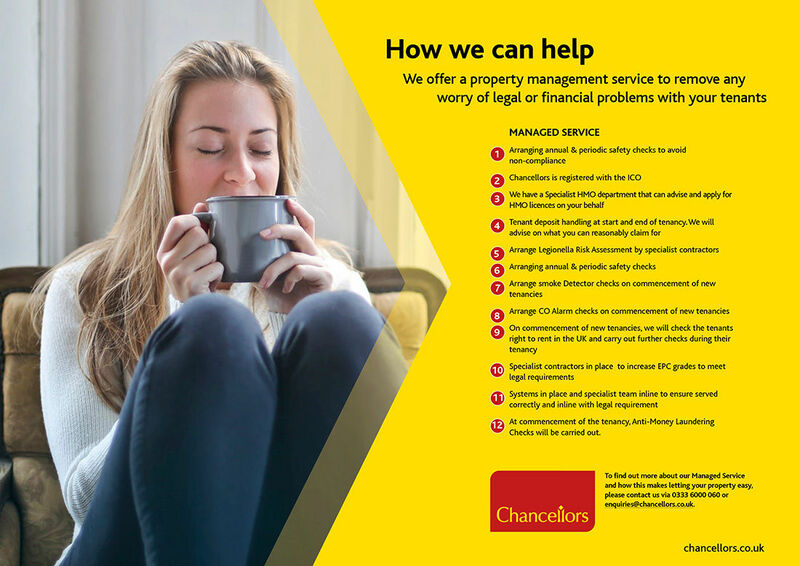 Please contact us for more information and see how Chancellors can help you let and manage your property. Please find an outline of the legal requirements and responsibilities that you would need to adhere as a landlord. To view a printable PDF version of our Landlords’ legal responsibilities please click the button below.